Dr. Minh Nguyen, a graduate of Tufts University School of Dental Medicine, has recently joined our team. Before switching her career to dentistry, she had worked as a software programmer for years in sunny California. Dr. Nguyen has a simple work philosophy which is to treat every patient with compassion, professionalism, and a gentle touch. She is committed to providing comprehensive and quality dental care while making sure patients are informed, understood, and comfortable with their treatment plan. She constantly keeps updated with learning of new research, technology, material and procedures. 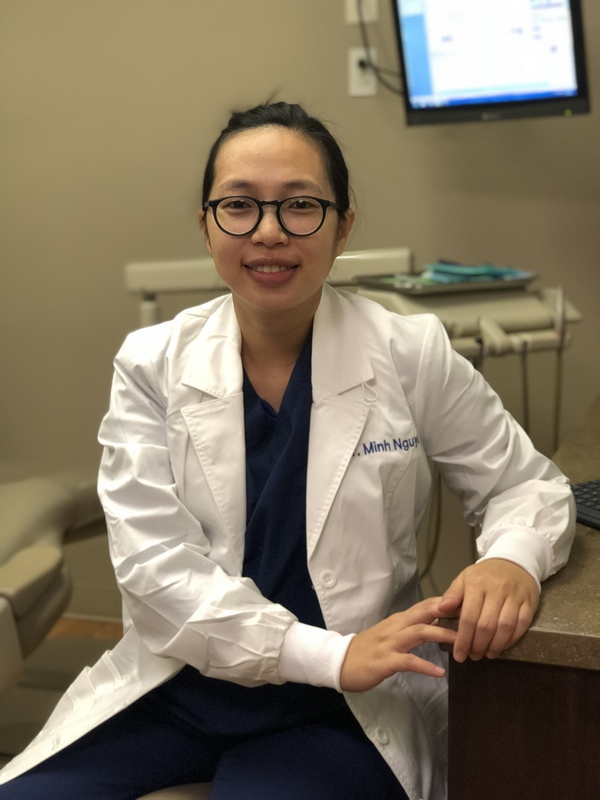 When she is not working, Dr. Nguyen enjoys cooking, hiking, and traveling. She is also a proud member of American Dental Association and American Academy of Cosmetic Dentistry.